Every single pedal that Analog.man produces is high quality. They don’t have a bad one in the bunch as near as I can tell. But by far, the standout is the King of Tone (see Review HERE). The dual overdrive is now legendary and with a wait time that can often exceed a year, they’re no impossible to find, but it’ll cost you. 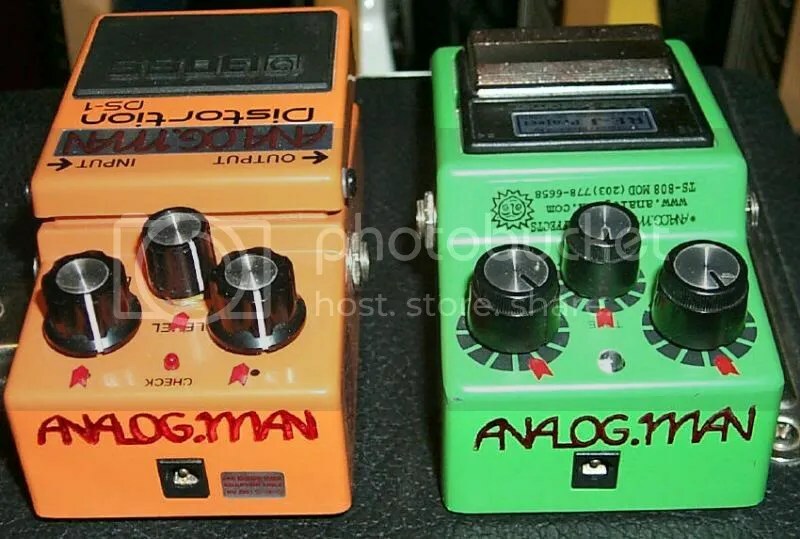 Aside from the KoT and it’s Asian made little brother the Prince of Tone, Analog.man is vintage recreator. Making modern versions of out of production pedals like the Ross and Squeezer compressors and vintage Fuzz circuits. These guys are top of the line. I personally love and recommend the Mini Bi-Comp and his Bi-Chorus is one of the few chorus pedals I’ve thought sounded good. Out of his pedal mods, the Analog.man modded Ibanez Tube Screamer has been found on the boards of players like the Edge and Kenny Wayne Shepherd as well as countless studio and touring players. His mod of any of your boss pedals will just make them better. Analog.man’s customer service is top notch, and so is the build quality. To me, the known issues are are found in the designs themselves. He’s making high quality pedals based largely off vintage designs. If you don’t like the old Rangemaster then you won’t like the Beano Boost. If you don’t like the Blue Breaker Circuit then avoid the King of Tone. There’s nothing inherently wrong with the pedals, but if they aren’t for you or you’re looking for something with more modern features then you just want something different. Analog Mike and his company build high quality pedals, make other people’s pedals sound way better, and do it all with excellent customer service. Although I’ve only ever been one of countless customers, they’ve always been super cool to me and in a few cases where I’ve had technical questions they’ve been incredibly helpful. I highly recommend his pedals, his mods and his store. Visit BuyAnalogMan.com and see if there’s anything there that might help take your tone to the next level.